Is it possible to hold a baby panda and take picture? Katie, because of the canine distemper, Chengdu Panda Base has cancelled all close activities with pandas, including taking pictures. 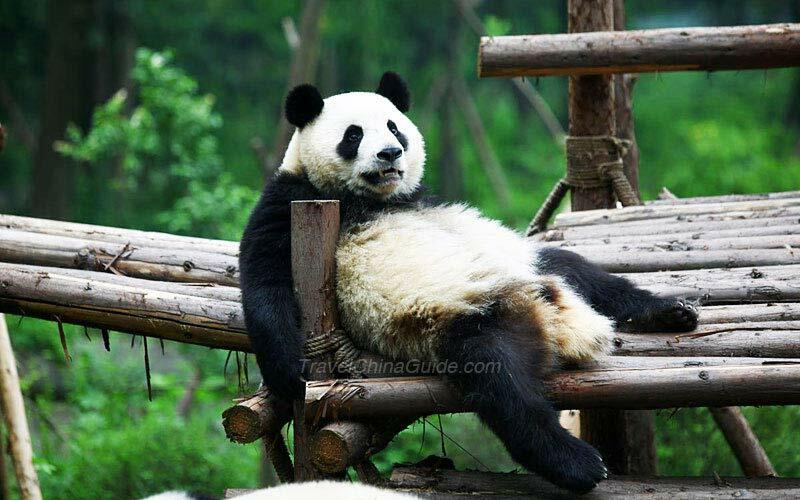 If you really want to do it, you should visit the Panda Valley in Dujiangyan. However, you are required to donate CNY 1800 to 2000 first. Can I hold Pandas? I plan to go to China in September. Thosj, it's hard to tell whether you can do it when you come. Previously, tourists can donate a certain amount of money in order to have a close contact with the pandas. You can hold the pandas to take photos. The panda base in Chengdu once provided this service. However, due to the outburst of the canine distemper, all activities regarding of contacting the pandas have been cancelled. And there hasn't been any notice that when these activities will resume. Is it possible to visit Beijing-Xi'an-Chengdu-Shanghai in 8 days private tour? Patricia, I think you can visit these places in 8 days. However, you should make a good itinerary to cover these places. Thanks Gary! I'm counting on your help to choose the best itinerary for us, consider and do those places and days available. Can the 8 days I want to visit Chengdu, Xi'an, Mt. Huangshan and Guilin. What do you think? Yes, I think you can do that in 8 days. I think you may spend 2 days in Xi'an, 3 days in Chengdu and 3 days in Guilin. In Xi'an, you may spend a day visiting Mt.Huashan and the other day visiting Terra Cotta Warriors and City Wall. In Chengdu, you may visit Jinli Street, Narrow and Wide Lanes, Memorial Hall of Marquis Wu, Thatched Cottage of Dufu on your first day. On your second day, you should visit Chengdu Panda Base and enjoy Sichuan Opera and tea performance. On your third day, you may visit Dujiangyan Irrigation Project or go to Leshan to see the Giant Buddha. In Guilin, you may spend your first day visiting local attractions like Reed Flute Cave and eleplant hill. On your second day, you may take cruise on the Lijiang River from Guilin to Yangshuo and enjoy the grand performance Impression Sanjie Liu at night. On the third day, you may ride a bike to enjoy the countryside scenery and then get backto Guilin in the afternoon. Why is the panda population so popular in china? is it beacause of there bamboo? I heard it is because the advantageous environment and climate. Of course bamboo is also an important factor.